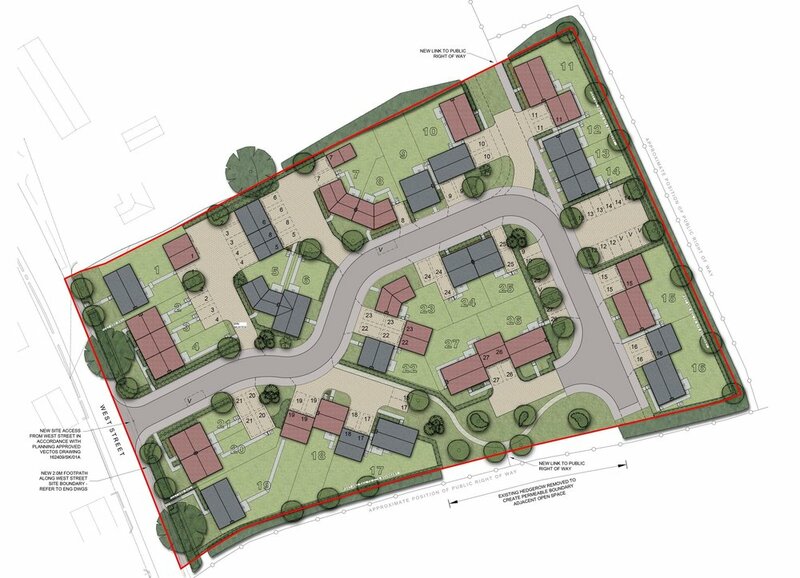 This application seeks to fully develop the approved outline indicative site proposals to provide comprehensive residential development proposals incorporating the reserved matters of appearance, landscaping, layout and scale. The proposals use a combination of external wall materials; primarily ham stone, complemented by render and a limited amount of facing brickwork. The development proposals will provide integrated, on-site, public open space to provide amenity space for residents and the local public.